Richard V. Kelly died on Tuesday, Oct. 23 at his home in Edgartown. He was 55. 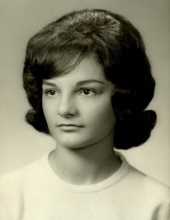 Mary Jane (Midge) Knipmeyer, of Wilmington, Del. and Martha’s Vineyard, died of natural causes on Tuesday, Oct. 9. Claire Brown Kaiser died peacefully on Oct. 27. She was 86. Joseph Passafiume died suddenly on Thursday, Oct. 25. He was 70. Colin M. Butler, 55, of Oak Bluffs died on Friday evening, Oct 26, 2018 at Massachusetts General Hospital. Lucy Durr Hackney died peacefully on Friday, Oct. 26, surrounded by four generations of her loving family. WRENTHAM — Donald K. Gilmore, 71, of Wrentham, died on Tuesday, Oct. 30, 2018 in Brigham and Women’s Hospital, Boston, after a nine-month battle with esophageal cancer. He was the beloved husband of Sharon (Nadeau) Gilmore. PLAINVILLE — Patricia F. (Gallagher) “Pat” Macdonald, 81, of Plainville passed away Saturday, Oct. 27, 2018 at home surrounded by the care, comfort and love of her family. She was the loving wife of the late Leo E. Macdonald Sr.
WRENTHAM — Edmund Godin of Wrentham, 93, died on Thursday, Nov. 1, 2018 after a brief illness. SEEKONK — Evelyn T. Tetreault, 97, of Seekonk, passed into eternal life on Tuesday, Oct. 30, 2018. She was the wife of the late Wilfred A. Tetreault. NEW BEDFORD — Edward “Buster” Costa transitioned into eternal life on October 31, 2108, surrounded by family and friends. Always affectionately known as Buster, he was a companion, son, brother, uncle, a beloved extended family member and a true friend. ATTLEBORO — Lillian (Harrison) Seguin, 91, of Attleboro, passed away peacefully on Wednesday, Oct. 24, 2018 at Mount Saint Rita Health Center in Cumberland. She was the beloved wife of the late Edmond Seguin.